We arrived! ( loud applause and cheer appreciated) After 24hrs of air travel, the 16 member team is here, a bit droggy and excited, but fully present with all 2300 lbs. of bags. Katie and Nate even made it through a touch and go with the customs agent. It was a New Years miracle! Upon arrival, we made no waste of time and got to seeing Zambia. Via bus, we traveled to compounds, markets, grocery stores and more. 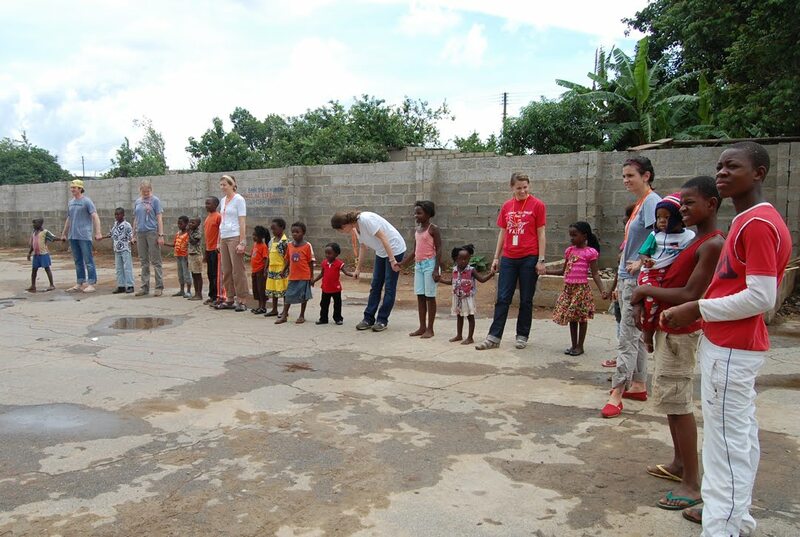 We even had an opportunity to play with the African children; their game of choice: Red Rover. IT was an amazing opportunity to our elementary playground days. 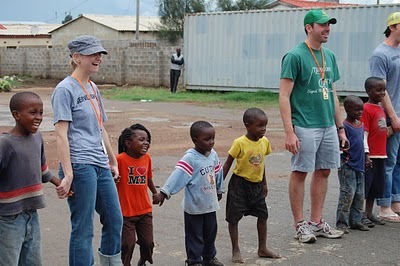 We spent the afternoon sorting supplies and preparing for the week. We definitely were EXHAUSTED and wanted to sleep but stayed awake. David made great pizzas for dinner and then we all crashed hard. Some fun “Africanisms” that we have experienced so far is that the lodge does not have enough keys for every room! So Kim and Rob and Nate and Katie crawl through their windows. Ellen and Clayton were woken up in the middle of the night to thinking a machine gun was going off in their room to discover their air conditioner was breaking.